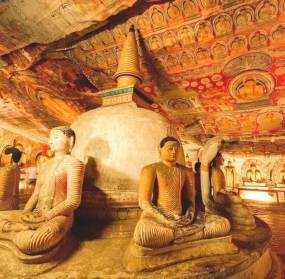 Sri Lanka has always been a popular destination for staff to visit on incentive tours. The country is filled with locations befitting various activities which will promote the ultimate team experiential break. Due to the immense diversity the country has to offer it makes more contrasted experiences available in close proximity of one another. 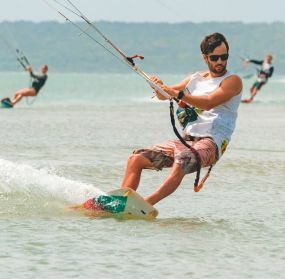 Whether your company is searching out to partake in nature activities in the Jungle or water sports activities amidst the infamous beaches of Sri Lanka it can be travelled within a short span of time. Incentive tours can be fulfilled in Kalpitiya which is approximately two and half hours away from the airport, where paragliding can be done if visited between April to late October and the rest of the year is famous for dolphin and whale watching, the largest national park, Wilpattu is also located only 1 hour 15 minutes away from Kalpitiya. In the event a group is interested in culturally inclined tours, a singled out favorite is hot air ballooning in Dambulla which will give group members a bird's eye view of elephants roaming freely, by stander water buffaloes in paddy fields and monkeys indigenous to the area. Watching the sun rise over the flat terrain is probably one of the most spectacular sights to witness. 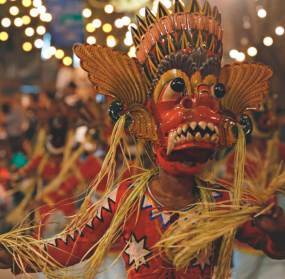 Furthermore the area is central to the country's cultural triangle. For a more outdoorsy experience which appeal to the more adventurous demographics, the nature activities in Ella Jungle which consist of zip line activities, waterfall nature and adventure treks and various treks through villages which provide an interactive local experience. The beach in combination with a nature reserve stay will commence the tour in Sinharaja rain forest which is a renowned nature reserve home to a diverse array of wildlife including Anthropology and birdlife. After an ideal two night's stay at Sinharaja, the group will be transferred to a property on the southern coastline after which they can partake in water sport activities such as banana boat ride, Jet Ski rides and snorkeling. Incentive tours are merely not about visiting a new location, it's also about connecting with it which will truly do the tour justice. Sri Lanka is certainly a land like no other which will certainly deliver on an unforgettable experience. If a more focused tour is required for the typical exclusive corporate travelers at leisure, a golf tour can be arranged at three different key locations in Sri Lanka. Starting off in Colombo with an 18 hole game at the Royal Colombo Golf Club. The next game of golf can be played in Kandy where regional amateur championships have been hosted. The last leg of golf can be played in Nuwara Eliya which is the oldest golf club in Asia. The riveting golf tour can be ended with a relaxing stay on one of the gorgeous beaches the country is famous for in Tangalle, Hikkaduwa to name a few. 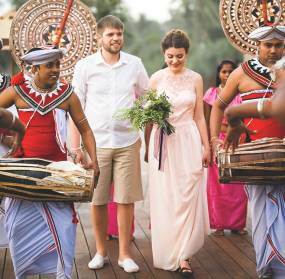 In addition to the above activities, personalized dinner events can be arranged tailor made to group preferences, this may include Gala sea food splurged dinners, BBQ's, Sri Lankan night with the entertainment of a cultural dance show. Cuisines from all around the world can be customized for any such event a company is in interested in. We can arrange some chic Cocktails as well with any theme in mind. Conference and meeting facilities can be arranged in an array of styles and layout from classroom, to cluster and informal arrangements. We can ensure you have all the equipment and facilities at your fingerprints for your convenience. Incentive tours arranged by Tayafinch are personalized, delivered with high quality standards and we ensure pro activity is executed to deliver on a flawless experience travelled with your fellow colleagues.